At Radisson Golf & Convention Center Batam, you’ll enjoy staying at the hotel just as much as exploring the city. Indulge in a massage at Zoysia Spa, a refreshing swim in the infinity pool, a soothing soak in the hot tub, a tasty meal at our on-site restaurants and a restful night’s sleep in any of our 235 rooms and suites. Whether you're here for business or leisure, take advantage of a stress-free ride from Hang Nadim International Airport and convenient access to Batam's main shopping belts with our complimentary shuttle service. Just contact our concierge desk, and we'll be happy to arrange your complimentary trip to the shopping malls or from the airport. Transportation services to the nearby Kepri Mall are available every 30 minutes from 10 a.m. to 10 p.m., all days of the week. After a workout in the fitness centre or a round of golf, you can replenish your energy with Indonesian and Western fare at our Bite-Restaurant. Find coffee and sweets at T-Lounge, or head to Pool BAR for refreshing drinks all week long and upbeat music on weekend nights. If a quiet night on your own sounds like a better option, order from our room service menu. 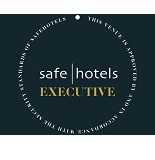 Radisson Golf & Convention Center Batam has been awarded the internationally recognized Safehotels Executive certification for 2019. 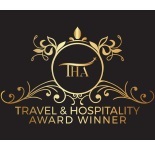 Our hotel has been recognized by the Travel & Hospitality Awards as the 2018 Best Business Hotel of the Year for the Riau Islands.